The Schwinn 130 upright exercise bike has been a favorite low-cost cardio cycle for several years. 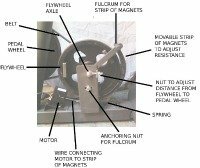 It features a large flywheel and magnetic brake for under $300. The dual backlit LCD window displays stats for time, interval time, RPM, watts, distance, pulse, speed, calories, and resistance. The programs include a variety of options including Quick Start, Calorie Goal, BMI Measurement, Recovery Test, Results Mode, Manual Mode, and Profile Courses. Check out the popular Schwinn 130 Upright Bike on sale now! 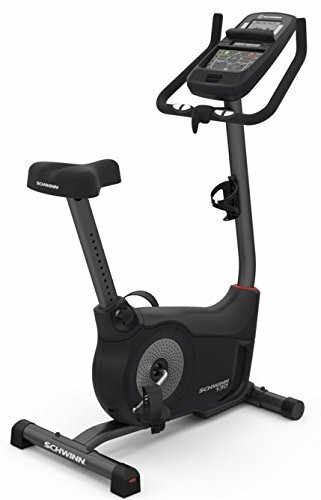 The Schwinn 130 upright bike offers a variety of features including the patented Schwinn BioFit™ Comfort system which consists of an extra-wide saddle with a micro-adjustable fore/aft seat slider, adjustable handlebars, and oversized pedals with straps. 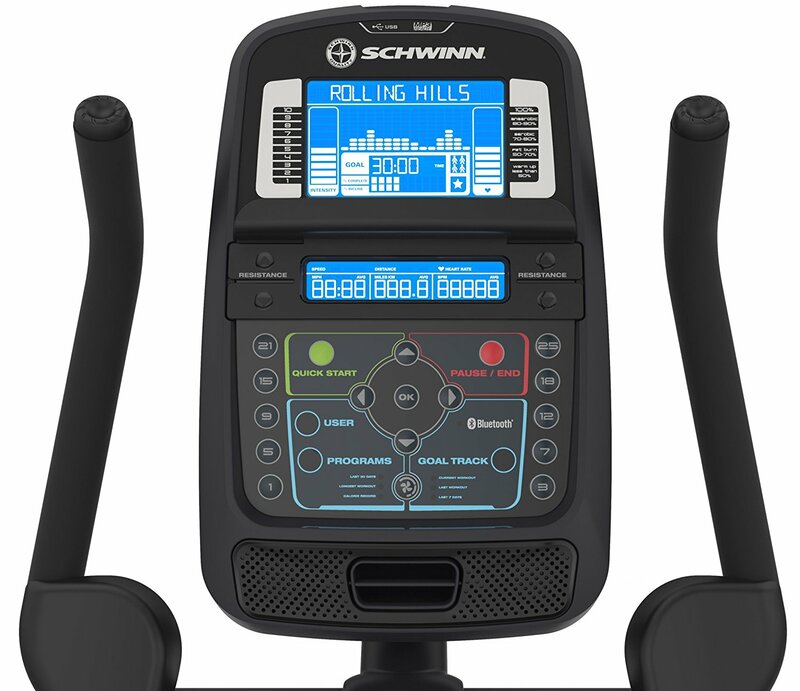 The Schwinn 130 also features a quiet magnetic eddy current brake (ECB) resistance system and a high inertia 20-lb flywheel, heart rate pulse grips on the handlebars, a water bottle holder, and an AC adapter with 3-foot power cord. The drawbacks to the model include Schwinn’s not so great warranty. You only get 10 years on the frame...but given the price of the 130 when it's on sale, you really can;t ask for much more. A good idea is to opt for the extended warranty for a little extra coverage just for peace of mind. All in all the new Schwinn 130 offers a nice, comfortable ride with plenty of workout programs to choose from. The Schwinn 130 upright exercise bike is a great, affordable choice with enough features and capabilities to keep you motivated and on track to reach your fitness goals. 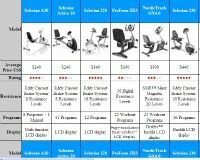 At under $300, it's hard to beat and a solid entry level choice for the home gym.